Texturally intriguing, this is a range of sculptured acrylic pile velvets for upholstery and accessories, where deep contours are emphasised by a matt black cotton ground. 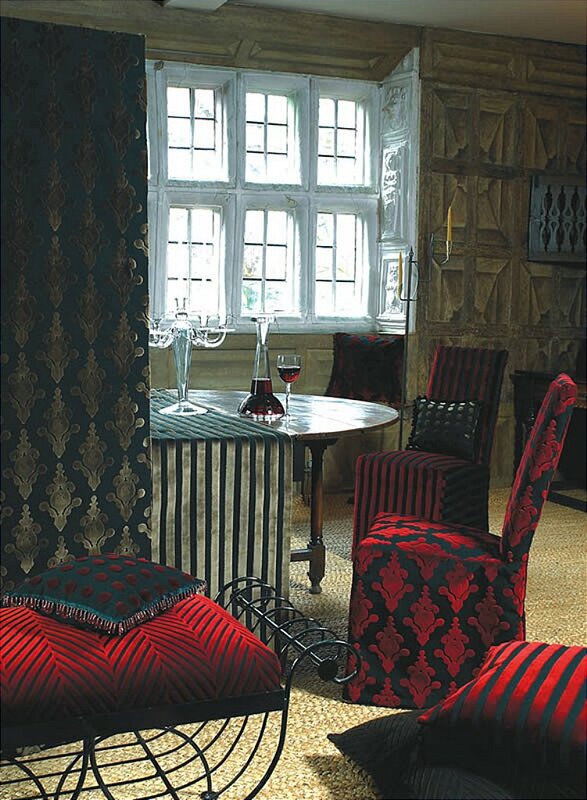 In colour stories including Claret, Coffee, Amber, Stone, Fuchsia and the all black Onyx, the collection includes a fine heraldic-style damask called Dynamo, a regular spot (Polka) and a bold chevron (Retro), all complemented by the smart Lateral stripe. I would like more information about Dynamic Fabrics by Prestigious Textiles.